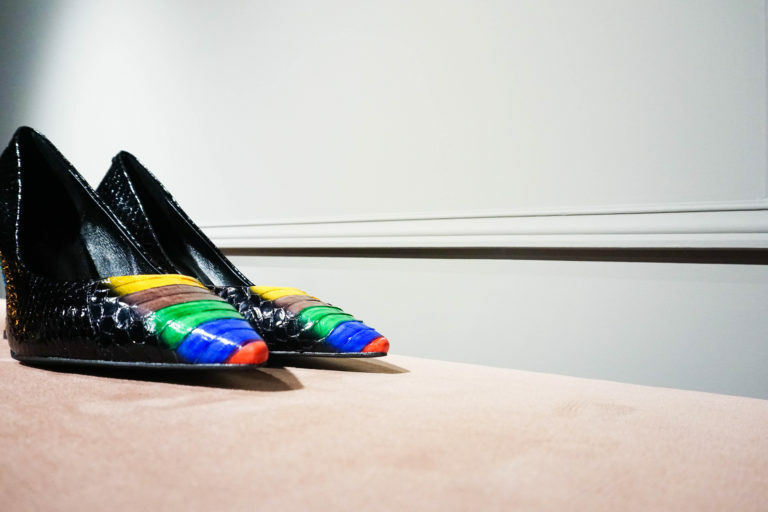 Just when you thought you couldn’t possibly buy another pair of shoes, a very chic new shop has opened up at St Christopher’s Place – and we’re extremely excited by the array of fancy footwear on offer. Welcome Emma Hyacinth, luxury shoes and accessories brand! When you’re next at St Christopher’s Place, do pop in and be tempted by their vast range of staple flats, hefty heels and even show-stopping trainers. These particular court heels (pictured above) took our fancy; the striking rainbow effect an instant eye-catcher. So, we thought we’d show you how to wear them with pride – with pieces than can all be discovered around St Christopher’s Place. Our first look combines the soft pleats of this gorgeous red Whistles skirt with the hard silver make up of the Mulberry bag to contrast two of SS18’s biggest trends – satin and metallic. Pair with a simple vest top, like this one from Reiss, to make the heels the true hero of the look. We think this is an ideal summer date night look. Perhaps dinner at St Christopher’s Place? This work-wear look pulls the green tones from the heels with this deep green blouse from Jigsaw, which features fabulously flowing sleeves. Pair with a stretchy pair of cigarette pants (also from Jigsaw) for the perfect work time look. 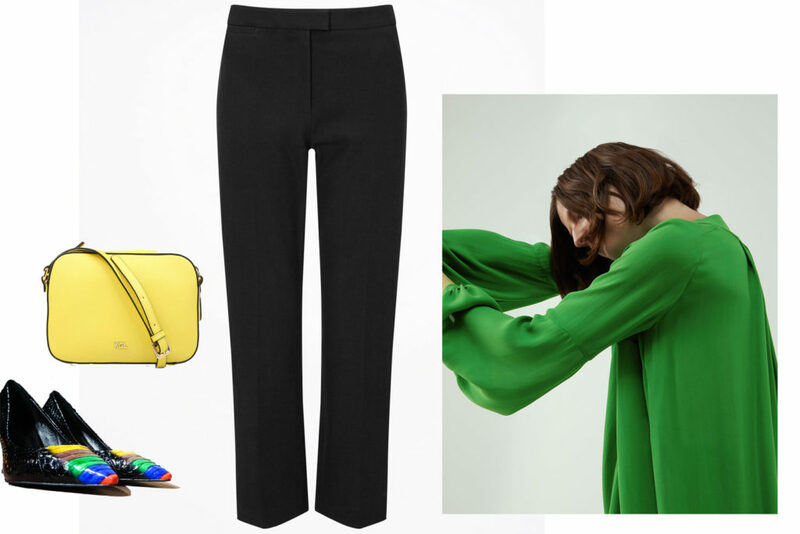 By adding the lemon-coloured Kurt Geiger Cross-Body bag this look will carry nicely into the evening for any fun post-work plans. You better work it. Is it still wedding season? Even if the bridal party is nearly over, there will always be an occasion in the diary. So, if you need to get dolled up for an event, this emerald Whistles wrap dress balances out the colours of the court shoe. The dusty pink Reiss bag and rose gold hoops from Astrid and Miyu adds warmth to the look – it is both formal and fabulous.